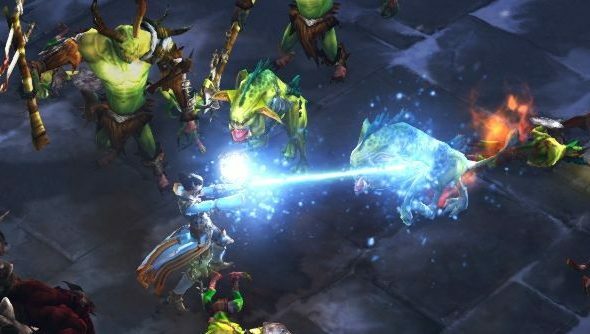 Until very recently, a Diablo 3 exploit was allegedly allowing wizards to become permanently invulnerable. A post on the Blizzard forum explained how, with worryingly few clicks, anybody with the Teleport and Archon skills could magic themselves invincible. The instructions were redacted by Blizzard shortly after their posting yesterday, and reports on the forum seem to indicate that the hole’s now been plugged. But still, that’s quite the exploit. “Since I can’t write a support ticket about this issue I guess i have to make it public. Complaints of ill-gotten legendaries finding their way to the real money auction house have prompted some players to call for an outright ban for anybody using the exploit. Here’s a video of the trick in action, complete with commentary by a very angry man.